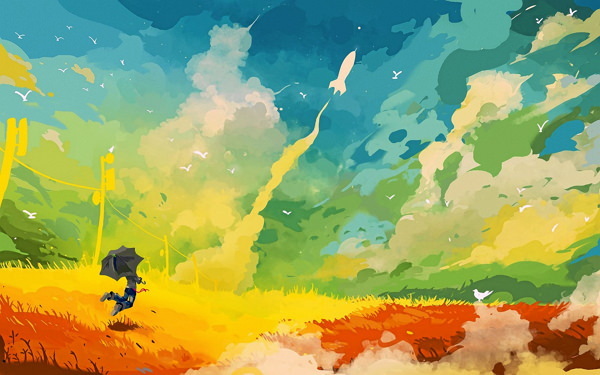 By Victor Clarke in Desktop. Updated on August 3, 2018 . Now that Windows XP is officially dead and you’re looking for a decent replacement, it’s time to consider Linux. 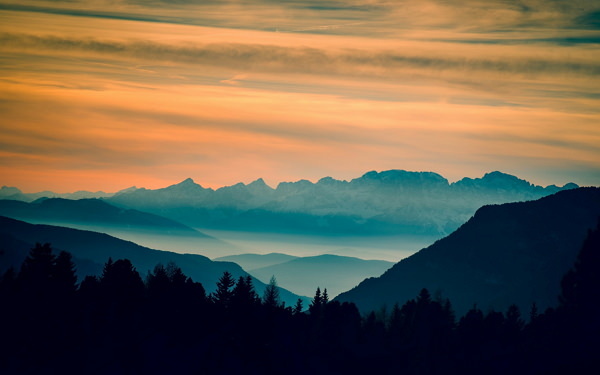 Most of its distributives are considered to be difficult to master and not that pretty when compared with Mac or Windows 8 interface but you might sing a different tune with Elementary OS Luna. Elementary OS Luna is definitely eye candy — it’s simple, beautiful, fast and is based on Ubuntu, which brings to its users all the advantages of Linux. OS Luna has its own peculiar style with a number of details that make it different from Windows or Mac. Some things were added, others removed. However, just like with the missing Start button in Windows 8, not everyone is happy with some traditional buttons and features missing in OS Luna. But do not panic: there is an easy way to bring them back to this pretty OS. These simple tips will help. And it won’t be confusing, even if it’s your first steps into Linux. With Pantheon (the default file manager in Luna) you can’t bring files or folders onto the desktop. But in Nautilus, it’s possible. Launch the Software Center, search for "gnome-tweak-tools" and install it. 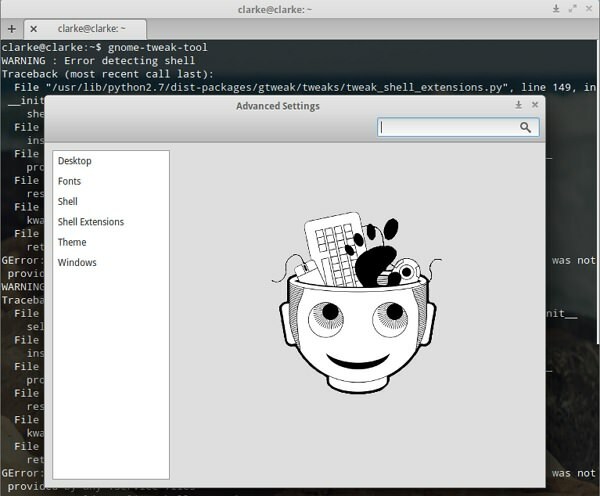 Now go to Terminal (CTRL+ALT+T) and type the same (gnome-tweak-tools) to launch it. 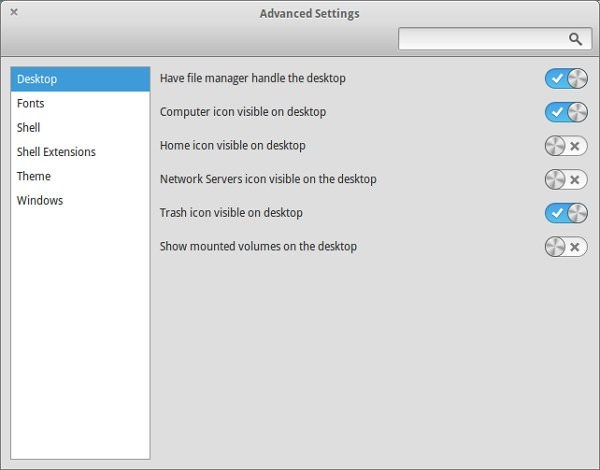 From the Desktop menu you can adjust the desktop to your liking. Check Have file manager handle the desktop and other options like display My Computer or Trash icon. However, we need to make these changes boot with the OS. Go to the System Settings > Startup Applications > Add. 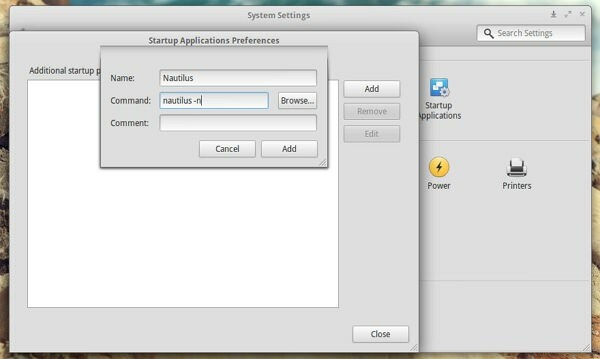 Input the Name (Nautilus, for example) and type nautilus -n in Command. This will do the trick. Another uncomfortable thing you will find is that you can’t minimize windows. By default you have to click on the desired application in Dock in order to do so. To bring back the traditional buttons, do the following. Install Dconf Editor by typing the command sudo apt-get install dconf-tools. Launch it from Applications > System Tools. 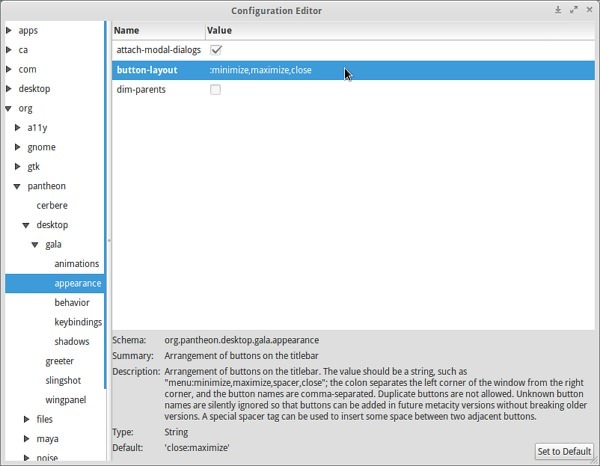 Navigate to org > pantheon > desktop > gala > appearance and type :minimize,maximize,close in button-layout. You can now see the difference in the top-right corner of the window. The applications that arrive with Luna are quite good and actually original, but some of them definitely lack functionality or aren’t elementary at all. First, you should definitely install a media player. In this case a VLC player is a nice choice. Luna’s default Movie Player lacks great functionality, rich subtitles support, Internet video streaming and YouTube video downloader. VLC media player is availbale at the Software Center. Second, you should also look for an alternative to File Roller, Luna’s default archive manager. It’s quite a confusing application for Linux newbies. B1 Free Archiver is way more user-friendly and has good integration with OS Luna’s style. It also has wide support for a lot of formats. Download the Ubuntu version. You might also like its password-protected feature: archives are packed in .b1 format as a way of securing your data transfer, something you may appreciate in light of the recent Heartbleed bug outrage. 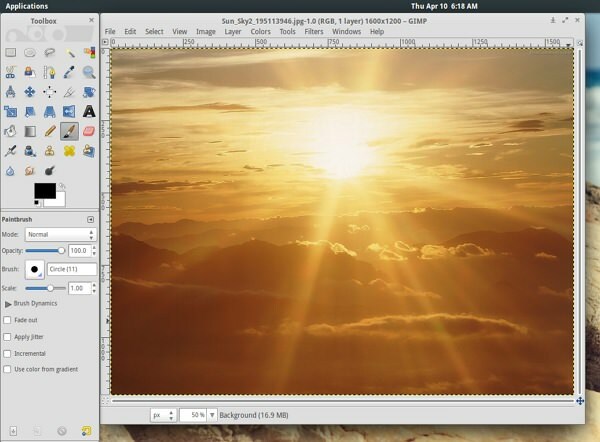 And you definitely should get GIMP, the best picture editor for Linux. It usually comes out-of-the-box in Linux distributives, but in Luna it was cut out (probably to make it more lightweight). The Software Center will help you to install this great Photoshop alternative. It’s up to you to decide on replacing any other applications in Luna, but these three are highly recommended to start you off. All other programs can be easily installed from the Software Center or by downloading the .deb installers for Ubuntu. Alternatively you can launch Windows programs using Wine. One of the first things most people notice (and praise) in Luna is the wallpapers collection. 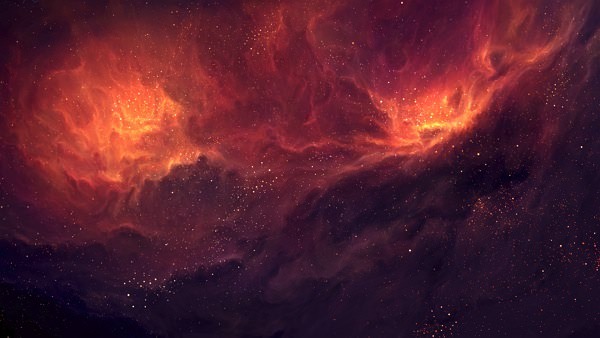 And you can download some more using this command: sudo apt-get install elementary-wallpaper-collection. The developers of Elementary OS Luna are not finished with upgrading their product. There is already a (still unstable) release of Elementary OS out called Isis, which is even faster than the previous version and can boast some interface improvements. However, the abovementioned tweaks are also applicable for OS Isis as (so far) the developers haven’t introduced any changes in the tackled areas. So give Luna a try! It’s the best way to fall in love with Linux. Editor’s note: This post is written by Victor Clarke for Hongkiat.com. Victor is a tech fan who likes to explore programs and OS’s, gadgets and the Web. Science fiction becomes more real with each passing day.